In what was being teased as the biggest acquisition in Smackdown history, Elias made his debut last evening. While performing a song thanking Vince McMahon, Roman Reigns came out and violently attack Elias and Vince. It was an absolute shock, considering Roman has been the gears behind Raw for years but I see this as something else. Roman Reigns has been a motor for the company ever since he made his first appearance. Storylines have focused on him for the last 5/6 Wrestlemania’s along with Seth Rollins. The idea of moving Roman to Smackdown just makes sense. Why? Fans love Seth. After his cancer scare, fans adore Roman. They want to keep the title on Seth but they also want to have Roman be a main figure in the title picture, so they switched him. Honestly, it’s going to be awesome. Kofi currently holds the title, but I do not think he will hold it for long. Maybe Bryan wins it back and then him and Roman feud which would be insanely cool. Now let’s move on to some rumors. Sasha Banks is reportedly on leave from WWE. 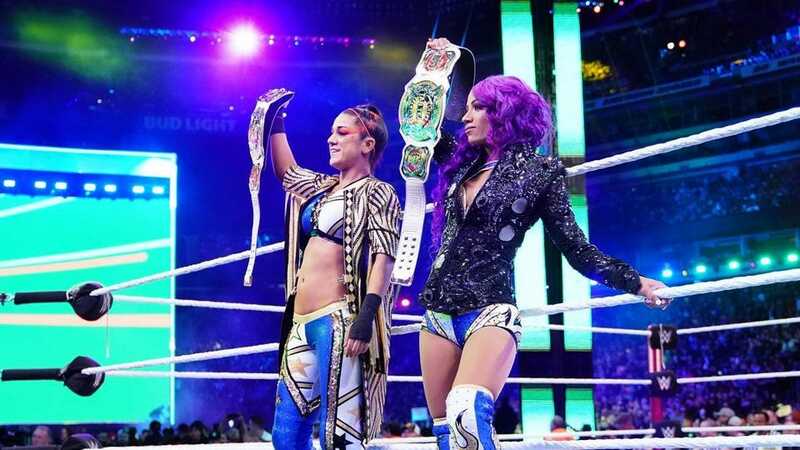 This should come as no shock to those that watch wrestling, but she had been involved in the Women’s Tag Team Title storyline for the better part of the last 2 years… then they strip her of the title at Wrestlemania to put over the IIconics (great decision). Bayley and her reportedly cried and yelled afterwards, stating that it was unfair. Bayley got moved to Smackdown, while it was announced that Sasha is on leave to reevaluate herself and figure out what she wants. Look, I hate Sasha. I always have, probably always will. I have no reason other than how much I hate Bayley and her stupid gimmick. Pairing them together was smart, but now I hope both are never relevant again. So in other words, sinara Sasha. Lastly, the superstar shakeup did not disappoint. We saw Alexa back last week and I hope she adds to more of the title storyline. We saw Lacey Evans attacking Becky and hopefully leading to Lacey winning the Smackdown Women’s Title back from Becky. And the best of all, Asuka and Kairi Sane are back and coming for the IIconics. With so much to build towards, WWE’s year is just beginning.